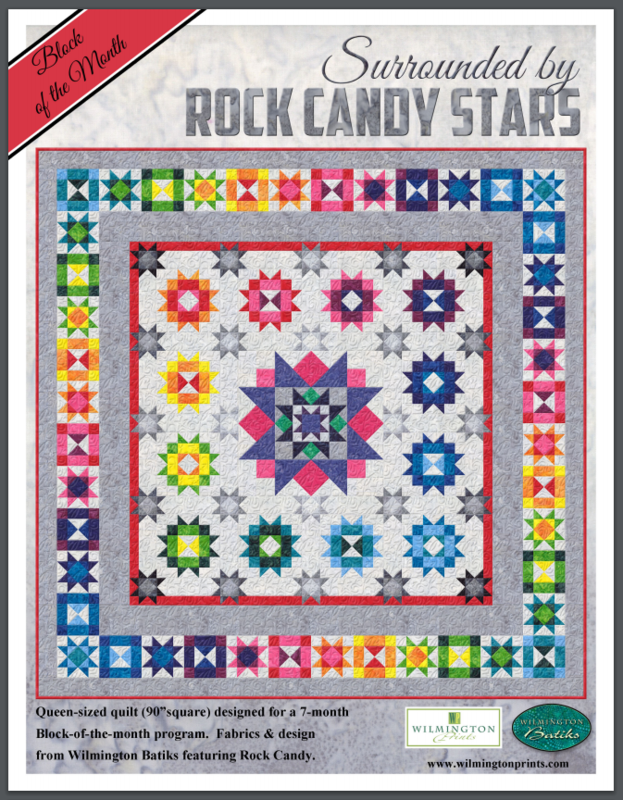 A fun & bright new block of the month from Wilmington Batiks is here! This 90" square, queen size quilt, is a fantastic 7 month project to stitch this spring and summer. This fun 7 month block of the month program will begin in March. Be sure to call or stop by to sign up now as space is limited. If you are interested in participating from afar, shipping is available. Please call the shop for details!